One of the new features included in gvSIG 2.3, that was commented at the 11th International gvSIG Conference (there’s also a question from an attendee at the end of the video), is the possibility to run R source code from the Scripting module. To run these R scripts, the Renjin library will be used. We’re going to tell about how to do it. Renjin is an R interpreter made on Java, but it’s not exactly the native R that we know. 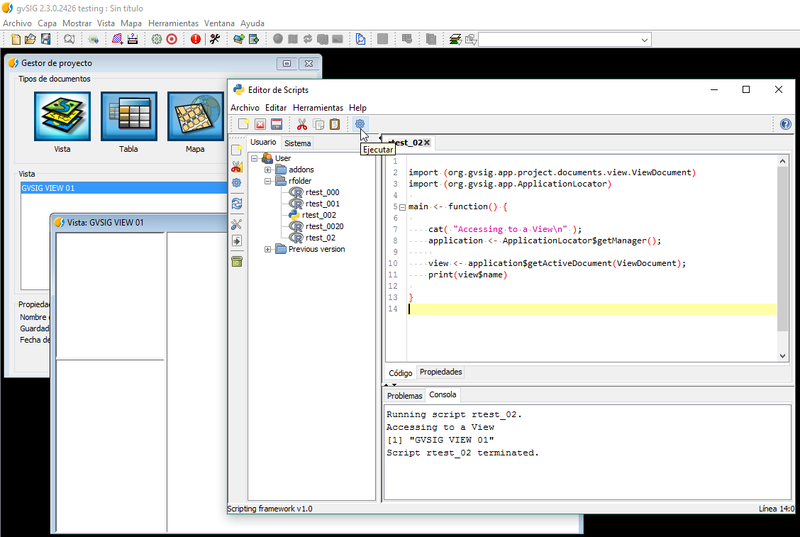 It allows us to run code on R and work with all the gvSIG API on Java at the same time. This library has several benefits since it’s completely built-up in gvSIG because it supports Java libraries, but it also have some limitations. One of them is that not all the R libraries are available to be used with Renjin. You can find more information about Renjin in their website, as well as the R libraries, that are available to be used. Renjin is actively in development, so that we hope that there are improvements in the future, about compatibility as well as in functionalities. We are going to show you a pair of examples. 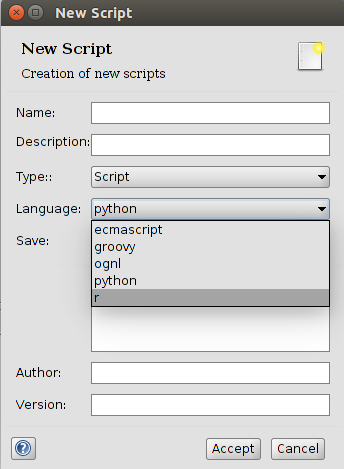 We have to open gvSIG and go to Tools – Scripting – Scripting Composer, and here we create a new Script (an R script). Carol is 41 years old. We still have to find the best way to work with Renjin and gvSIG, since we still are in a development process of this module. Any collaboration, or feedback that we get from you is welcome. This entry was posted in development, english, gvSIG Desktop, scripting and tagged R language, Renjin. Bookmark the permalink.